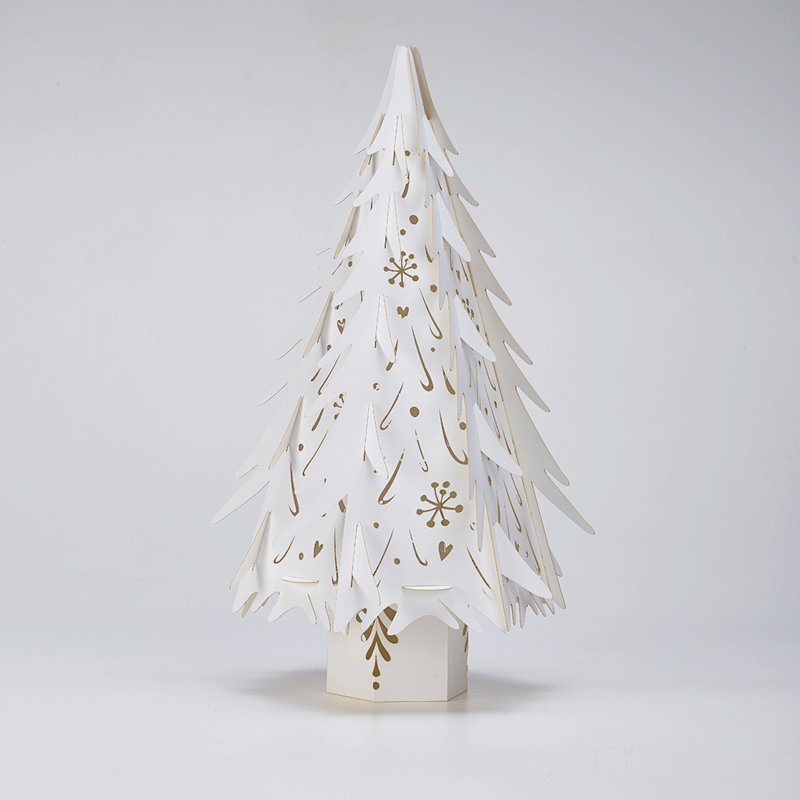 Our small white Christmas trees are perfect for matching any Christmas decorative theme and will certainly add a talking point to your wedding or home décor! 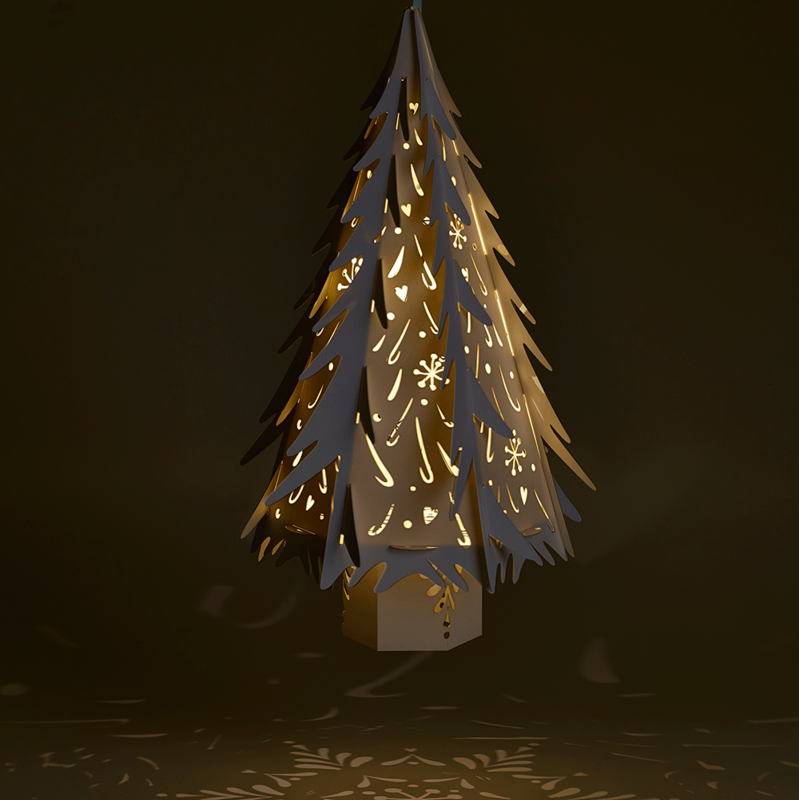 Each Christmas tree is ready for use following a couple of minutes of assembly. Glue is not required as each panel simply slots into place to create Nordic Fir tree branches. 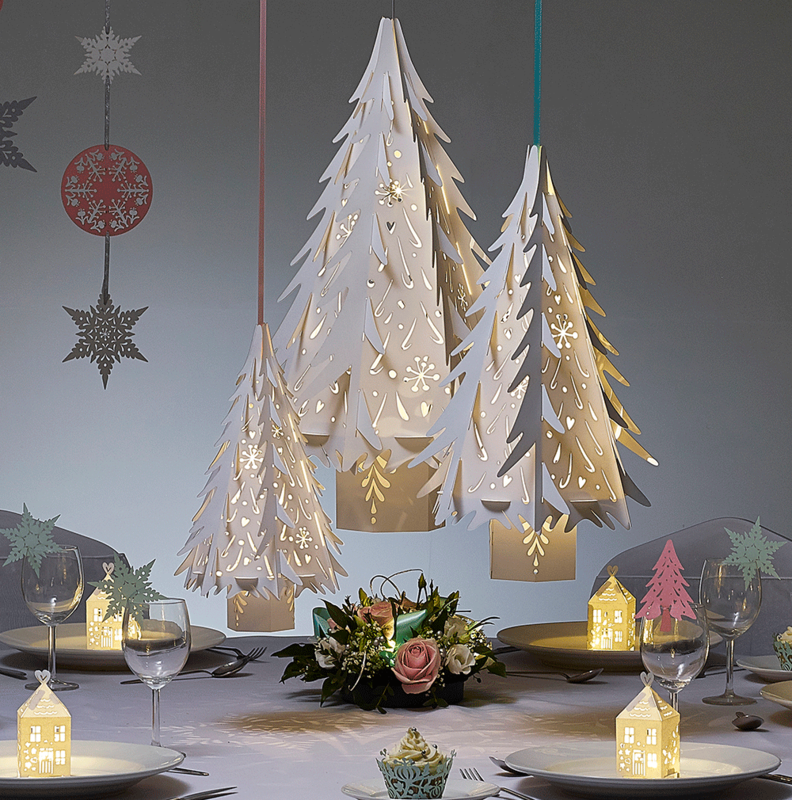 Our Christmas trees include a base for standing on a table or mantelpiece, and a length of ribbon so the tree can be suspended over your table to show off your creative flair. A warm white LED Buttonlite is enclosed to provide ambient lighting around your table; Buttonlites last 36-48 hours and will allow the intricate design to be scattered over the table. 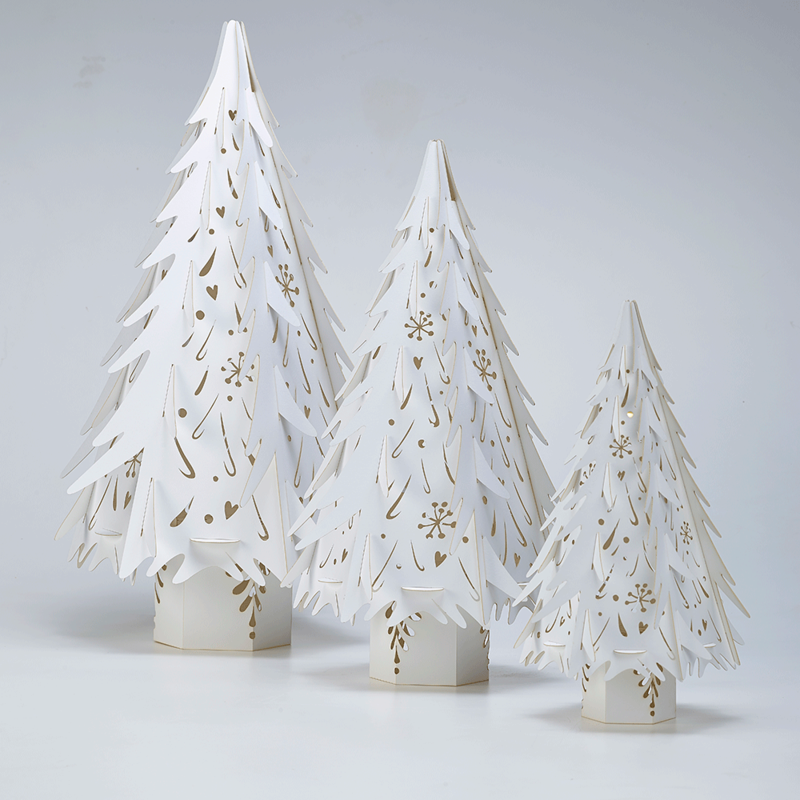 When assembled our small white Christmas tree decorations are 36cm in height and 20cm in width. 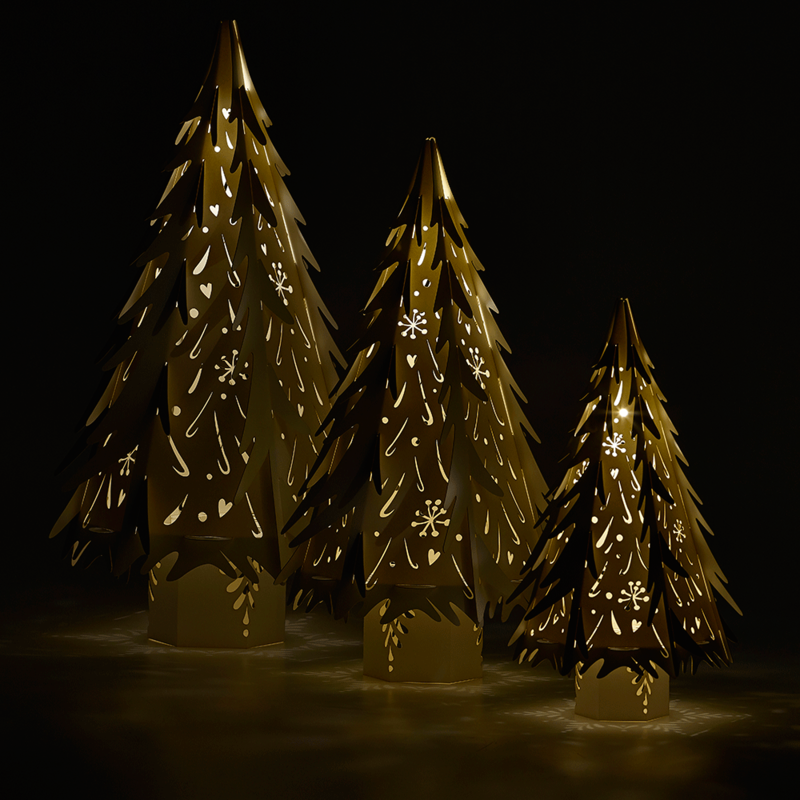 Our Christmas collection is hand crafted in our Sussex laser studio from the finest British FSC certified papers.